Snap Shots - Gorgeous Winter Day Snap shots are simply stunning that has the "Camera Iris" effect. 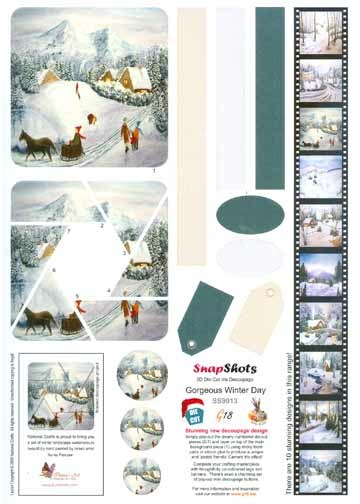 The 3D Precut sheets are specially designed that included banners and tags which will help finish off your projects. Beautifully hand painted by Israeli artist Ilunia Felczer.